Apply a thin coat of DuoMasque with the brush and allow 6 to 12 minutes to dry, then rinse with cold water. I have used it for years and I know the compliments I receive on my skin have come because of the DuoMasque. I have used a lot of products over the years and nothing can take the place of the DuoMasque. With a very busy work schedule and three kids, DuoMasque always makes my skin look amazing! 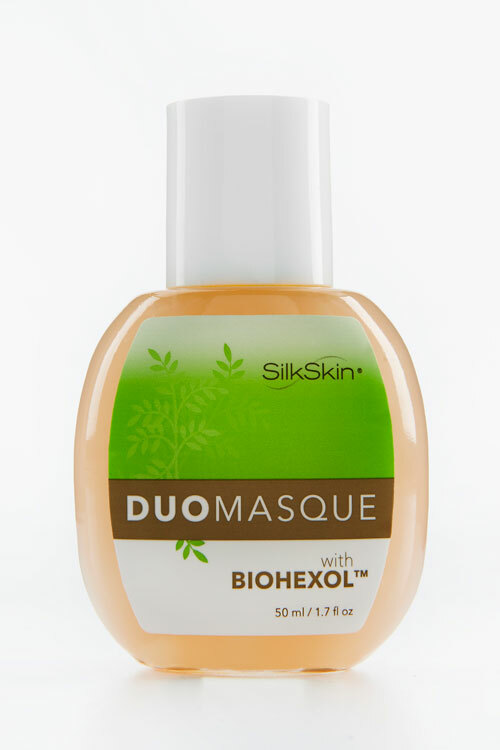 The DuoMasque makes my skin firmer and it’s a fabulous product! I use the DuoMasque when I had some acne and it helped clear it up completely. It is the best product I’ve used. I absolutely love this product. It is marvelous! There is nothing like the DuoMasque, it’s fantastic! The DuoMasque is just the greatest product. I use the DuoMasque frequently and there is nothing like it. My skin thanks you. The DuoMasque does wonders for my face. DuoMasque is one of the best things I have ever put on my face. The DuoMasque is great period.